We're glad you're interested in joining us. We meet at Rowe Middle School in Athens, Pa. Yes, the Google map shows a Sayre address, but you're really in Athens Township. (We can explain that when you get here ;-), but this Google Map will get you to the school. Plug these directions into your phone, and you'll see our Encounter banner on the fence at the corner of Pine and Elmira streets. for your kids at Encounter. We have a great experience planned for your kids at Encounter. When you arrive, you'll find one of our awesome Guest Services Team members who can help you find your way to the Family Ministry area and will help you register your child and begin learning about the love of God. Come as you are to Encounter. If you've been following God your entire life, you're welcome here. If you're new to faith, you're welcome here. If you're not really sure you believe in God at all, you're welcome here. No matter where you are on the road to faith, we want to walk alongside you as you go. Our hope is that as you join us on the journey, you'll discover a God who is active, alive, and at work in your life. Whether you are hurt, lonely, or wounded; whether you are a skeptic, doubter, or challenger; whether you are a follower of Christ longing for a home or you're just not sure where you are on your journey. We welcome you. At Encounter, we believe that everything we do is intended to fulfill three simple objectives: Love God. Love People. Make Disciples. It starts before you even walk in the door. There's plenty of parking in the lot out front, and you'll find a friendly face greeting you at the door. If it's your first time, we encourage you to stop at our New Here? Start Here! kiosk and introduce yourself. If you have kids you need to check in, we'll help with that. 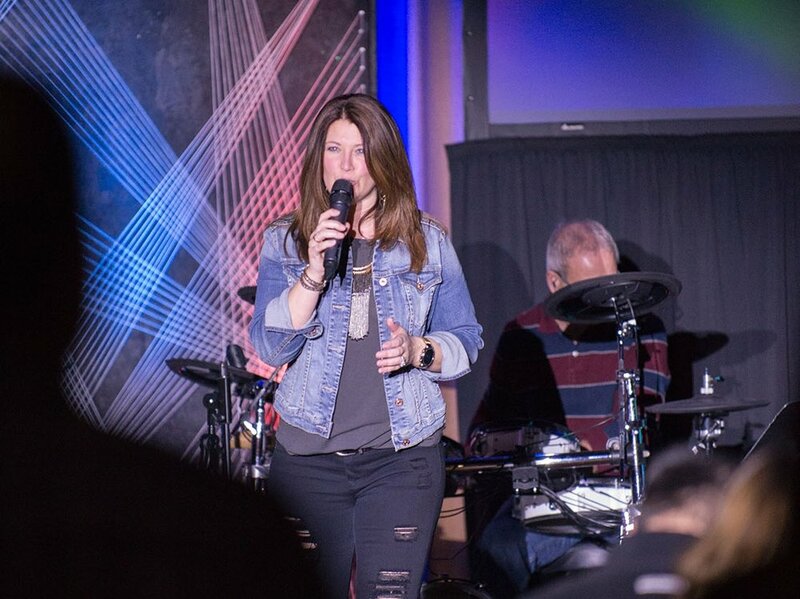 In our worship center, it starts with our high-energy worship team. One of our pastors will then share the Gospel to life through stories and Scripture. We connect with our congregation, and invite them to partner with us through prayer and giving. But, please, don't feel obligated to give on your first visits. Our worship is our gift to you! We'll end the hour with another song from our worship team before heading out into the world to spread the Good News for the week! Thanks for stopping by! Now that you've checked us out online, we hope you'll check us out in person too! We'd love to hear from you. Contact us below with any questions, concerns, or just to say hello. We can't wait to meet you -- online or in person!